National immigration policy is front and center in public discourse around the world, most prominently in the West, to which many are fleeing. 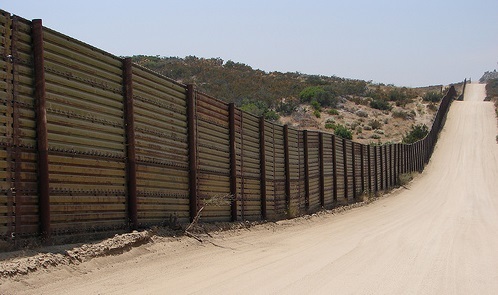 In a presidential election season, Americans are sharply divided over what should be done about the millions of illegal or “undocumented” residents coming from the south. Europe is trying to cope with waves of Syrians and North Africans either fleeing conflict or seeking a better standard of living. Some are drowning as their boats capsize in the Mediterranean. Others are hit by trains in the rail tunnel beneath the English Channel. Some nations are strengthening their borders; others are opening their arms to vast numbers of newcomers. So what should a Christian accept or prescribe? Not surprisingly, the Bible does not provide a clear template for setting quotas, issuing work visas, deporting offenders, and such. For one thing, the governments and rules in play in ancient times were widely divergent, some theocratic, others imperially profane. On the harsh side, we see God’s order to the Israelites to sweep the house clean of Canaanites. On the tender side, we find prescriptions of kindness for the “stranger” and “sojourner.” Furthermore, early populations were often sparse, tribal, and mobile, ill-suited for the firm lines we see on political maps of the world. City-states such as Athens and Nineveh were more typical than nation states. Jurisdiction: In Mark 12:17, Jesus tells us to render to Caesar his due, and in Romans 13:1-7, Paul says we must submit to governmental authorities. Rulers are rulers by virtue of jurisdiction over territory. Citizenship: In Acts 25, Paul claims his rights as a Roman citizen to have a hearing in Rome. Citizenship is a prerogative of the state, which can and must stipulate who does and does not qualify for it. Particularity: In Genesis 11, the Lord confounded the languages of mankind to discourage the vanity and treachery of a monolithic world. When we, in effect, erase borders by not enforcing them, we risk losing the “separation of powers” essential to the political economy of fallen man. Core Values: Time and again, the Bible describes the central standards of a culture, whether the YHWH worship of Israel, the Law of the Medes and the Persians, or the Hellenism of Alexander’s “offspring.” They range from evil to splendid, but there is no society without them. Ironically, a nation which opens its borders wide to those who do not share its core values dilutes the very qualities which made it an object of desire in the first place. By embracing those with toxic ideologies, a nation will commit cultural suicide. Property. In Proverbs and Deuteronomy, there are warnings and, indeed, curses regarding the movement of a neighbor’s boundary stones. The ownership of real estate is sanctioned by God, and trespass is a genuine offense. We may not just walk anywhere in the world we please, doing what we please on whichever plot of land we choose to visit. And, indeed, to breach a national boundary is typically to trespass on private property as well. Refuge. Under God’s direction, the Israelites set apart cities to which those guilty of manslaughter might flee relatives who sought blood vengeance (Number 35:6-32). Hezekiah dug a water tunnel from the Gihon Spring to the Pool of Siloam to prepare Jerusalem for an Assyrian siege (2 Kings 20:20). Both acts were predicated on the need for walls to maintain the integrity and safety of the residents. Finitude. There is one God, and we are not He. A nation cannot do every nice thing, for its resources and its ability to impose intrusions upon the populace are limited. If all charitable immigration decisions were good, then the more the merrier, but this would be chaotic nonsense. Of course, none of this specifies whether, when, where, and to what extent immigration is desirable or even obligatory. Rather, it suggests that being “Christlike” is not the same as saying anything goes.